Sidney attended the old St Vincent's Academy, which adjoined St Joseph's Catholic Church in Baton Rouge and later became Catholic High School. He remembers, "The old wooden school building had no electricity, no gas, and no water. If you gotthere early on a cold morning before the good brother lit the potbelly stove, the ink would be frozen." They then built the new Catholic High School building, but while it was under construction, classes were held in the Louisiana State University boys' gym. "It was a large wooden barn covered with black tar paper. It was so warm in there in the spring and fall that the brothers held classes outside under the trees. In was so cold in the winter that they held classes outside in the sunshine." Sidney still remembers the words, written in six-inch letters by a former LSU coach in the gym shower: "A gentleman is marked by neither obscenity nor profanity." He also recalls an early Catholic High tradition: "In the later '20s, all the boys wore knickersuntil they were about 5'6". When you needed long trousers, your mother had to buy you 3 or 4 pairs of long pants." When a student showed up for the first time in long pants, everybody in the school gave him a swat on the backside. However, Sidney never experienced the traditional initiation. "By the time I got the be 5'6", the style had changed, and knickers had vanished." As youngsters, they hadto walk to school and could not use tickets for the city bus unless it rained. Shoe repair shops all over downtown took care of worn soles. Sidney graduated from Catholic High School in 1931, when tuition was $3.50 per month. He went on to attend LSU. In Apr 1940, Sidney reported that he had earned $2,400 in 1939. On 16 Oct 1940, Sidney registered for the Draft. On that date, he was described as 5'10" and 150 lbs, with brown eyes, brown hair, and a dark complexion. His father was recorded as his next of kin. During WWII, Sidney served in the US Navy. He was commissioned as an Ensign in the USNR in Jan 1942. He then served as Gunnery Officer on the USS Housatonic from 1942-1943 and 1944 until July. In Jul1942, he was sent to the Pacific theatre as Gunnery Officer on the USS Sibley. He was there at Iwo Jima, Okinawa, and the occupation of Japan. During Sidney's military service, he attained the rank of Lieutenant Commander. In November 2000, he was inducted into the Cadets of the Ole War Skule Hall of Honor at LSU, for his military service as well as his contributions to LSU and his community. Baton Rouge's own Paul Bunyan: Jim Arbour of Houston was amazed when he called his mom, Ann, and she told him she had bought his dad, Sidney, a new chain saw for his 89th birthday. Says Jim, "It seems his old chain saw was worn out, and he asked for a new one to clean up from the recent storm. I'll bet there isn't an 89-year-old anywhere in the world who got (and can use!) a chain saw for their birthday." The big chill -- After Juanita Bahlinger suggested that fans who stayed in chilly Tiger Stadium until the end of the LSU-Troy game should be rewarded with their choice of tickets next year, several readers questioned how these fans could be identified. Easy -- they're the ones with frostbite. The bigger chill -- Sidney Arbour says, "In December of 1932, I signed up to be a cadet usher at the LSU-Oregon football game at 2 pm in Tiger Stadium. I arrived 30 minutes early, found my assigned area and waited for my fans to arrive. At kickoff time I was still alone. In fact, there were about 3,000 fans in the entire stadium. The temperature was 16 degrees. As I recall, Oregon won the game --maybe too cold for the LSU players! On Monday, Athletic Director Red Heard paid me my $2." Sidney Arbour does not let his age get in the way of living. At 75, he won his division in the Great River Road Run. At 95, he traveled to Dubai, and at 96, he visited Mexico. "I don't drive at nightanymore at 96, but I slip around a little in the daytime when nobody is looking," he said. Arbour was born 7 Jan 1914, upstairs of Kornmeyer Furniture Co., a business started by his great-grandfatherin 1880. His grandparents, Julius and Matilda Kornmeyer Bahlinger, lived above the family store located at the corner of Ferdinand and America streets. "At the time, my parents were living on 10th Street," he said. "My mother, Julia May Bahlinger Arbour, went back to her parents' house for me to be born." His middle name should have been Joseph, the middle name by which his father, Sidney Joseph Arbour, was christened. The senior Arbour attended St Vincent's Academy, where he was teased because his initials spelled 'SJA,' the same initials as the girls school, StJoseph's Academy. "My dear father came to school one Monday morning and stood on his desk and said, 'My name is now Sidney Vincent Arbour,' and that became his name, and my name, too," Arbour said with a laugh. Like all members of his generation of Bahlingers, Arbour grew up in the family business. He was 5 years old when his grandfather asked if he would like to go in the horse-drawn Kornmeyer wagon with two employees who were delivering a black cast-iron stove to a downtown residence. "I climbed up on the front of the wagon," he said. "After the men got the stove in, one sat on each side of me, and one of the men said, 'Sidney, we're going to let you drive the wagon.'" The men handed Arbour the reins and instructedthe little boy as he drove east on America Street to St Charles Street, over the streetcar tracks to Government Street to the final destination, where the delivery was made. Arbour first attended Miss Minna Martinez's one-room school locatedon the north side of Louisiana Avenue. "When you looked out the front door of the school, you saw the back end of the Fuqua House," Arbour said. Henry L. Fuqua owned Fuqua Hardware Co. and later became governor of Louisiana. "Every day he would walk from his house to the Old State Capitol," Arbour said. "He would walk down America Street and stop at the shipping department at Kornmeyer's and have a chat with my grandfather, Julius Bahlinger." Like his father, Sidney Arbour attended St Vincent's Academy, which was located at the north end of Church Street, now Fourth Street. "Church Street terminated at that time at North Street," Arbour said. "The school was on the ground that the street has now been extended on." Winter mornings were cold. "If you got there early before they lit the pot-belly stove, the ink at each desk would be frozen," Arbour said. He recalled that as a fourth-grader in 1924, he knew the 10th- and 11th-grade upperclassmen including Paul Macarius Hebert, who later served as dean of the LSU Law School, LSU president and a judge at the Nuremberg trials. "I've said a many a time that he was our most distinguished graduate," Arbour said. When Arbour was a junior in high school,the Brothers of the Sacred Heart who operated the school decided to build a new steam-heated building. They hired a house mover to move the old school building east about 200 yards to make room for the new building. Col. Thomas D. Boyd, the LSU president, drove by as the house movers were preparing to move the old school. "He stopped his car and told the brothers he could spare them the expense," Arbour said. Boyd offered the brothers the old LSU gymnasium that had been left vacant when the university moved from its downtown campus to its present location. "It was an inexpensive frame building. It had on each side four classrooms with low ceilings. It was not heated or cooled," Arbour said. "It was so hot in the falland spring that we had classes under the trees, and it was so cold in the winter that we had classes outside in the sunshine." To this day, Arbour remembers a sign placed in the shower room by LSU head football coach Mike Donahue. It read, "A gentlemen is marked by neither profanity nor obscenity." In 1931, Arbour graduated from high school and enrolled at LSU in the College of Commerce. In his junior year, he was in a large group of students Sen. Huey Long took to the LSU-Vanderbilt football game in Nashville, TN. "Students met in theGreek Theater, where Huey announced that the Illinois Central Railroad would provide five trains," Arbour said in an earlier Advocate article. "He told the railroad that students would pay $6 round-trip in lieu of the normal $22 fare. Any student who did not have the $6 could go to the seventh floor of the Heidelberg Hotel for a loan." Arbour and several friends went to the hotel and got a loan for the ticket and an extra $1 for food. "A dollar at that time would buy 10 ham sandwiches or 20 Coca-Colas," Arbour said. The group made the trip to Nashville, where LSU defeated Vanderbilt 28-0. The students marched through downtown Nashville with Long leading the band. "We tore down the goalposts, boarded the train, and arrived late Sunday, tired and uncomfortable from the soot from the coal-fired train," he said. After graduating from LSU with a degree in business and economics, Arbour went to work in the research lab at Standard Oil. That was where he was working when WWII started. "My friends Charles Hundemer and Richard Mary were drafted into the Army, but I joined the V7 Program with the US Navy," said Arbour, who was commissioned an ensign on 7 Jan 1942. One of his first assignments was moving oil by tanker from Texas to ports along the East Coast. On the day of the Normandy invasion, he was in Baton Rouge on his way to San Francisco to a transport ship that could move 1,400 Marines from island to island in the Pacific. In December 1944, the ship set sail for Hawaii with a crew of 400 and 25 Higgins boats. "We started moving west," Arbour said. "We'd go to one island and stay a few days and then to the next island and stay a few days." The ship arrived at Iwo Jima on 19 Feb 1945. "The first wave of Marines went ashore at Iwo at 9 am. The next wave at 10:30, and the next wave at 12 o'clock," Arbour said. "At noon, our PA (public address) system came on," he said. "The voice said, 'I just received word that we will be going ashore at 1400 hours. I know you will fight like Marines, and may God be with you.'" Arbour's ship went to Okinawa, then to the Philippines, to Guam, and then to Saipan. Then Japan surrendered. "After the Japanese surrendered, we went back to the Philippines and loaded up the Army of Occupation for Japan," he said. The Army had supplies lined up for three city blocks. "We had to put all that in our ship," Arbour said. "The last thing they had to come aboard was a plywood trailer. The only place to put it was on the main deck right in front." The ship sailed for Japan. "The next morning when everyone woke up, we discovered that someone had taken a keyhole saw and cut a hole in the trailer," Arbour said. "It was full of cases of liquor for the Army of Occupation." Even though the sailors were ordered to locate four missing cases, they were never found. Arbour was delighted to return to Baton Rouge after the war. Soon after his arrival, he needed a date for a party. He asked his friend, Bernard Manuel, if he knew someone he could take to the party. Manuel had lost an arm in an accident whenhe was 5 and could not serve in the military. He had stayed in Baton Rouge working at Ethyl. "Bernard said that there were four nice girls living at the Pentagon," recalled Arbour, who had had several dates with two of the young women. One ofthe women invited him to an announcement party for the third roommate, Ann Wilbert, of Plaquemine, who was engagedto an aviator from Harding Field. Shortly after the party, Wilbert broke her engagement. When she needed a date for a SpinstersParty, she asked Clare "Shot" Holly (later Hurst) to get her a date. "Shot said call up Sidney, he's back in town, and he knows everybody," Arbour said. When Wilbert called Arbour, he said, "I'll take you myself, and I'll even bring you a corsage." They went to the partyand "danced and danced" and then went and ate hot tamales. "From then on I didn't date anyone else," he said. On 1 Feb 1947, Sidney Arbour and Ann Wilbert were married. They had six children. "She joined nine different organizations while we were married, and she became the president of each one of them," Arbour said. "Everybody loved her." It was Ann Wilbert Arbour who named the Junior League cookbook, "River Road Recipes." She died three years ago.Sidney Arbour worked first at Standard Oil. After he took early retirement, he became the main appraiser for Union Federal Savings and Loan. At 65, he retired. Five years later, Arbour suffered a heart attack while vacationing on the Gulf Coast. When he returned to Baton Rouge, Dr. Tom Quaid put him on a healthy diet and recommended an exercise rehab program designed by Coletta Barrett. "I started out real slow. Then I speeded up, and then came the Great River Road Run," Arboursaid. "Coletta told me I had to be at the Pastime Lounge on Saturday morning," he said. "She said we're going to run half a race." From that day, Arbour was hooked. "The next year, Dr. Quaid and I ran together," said Arbour. In 1989, on his fourth or fifth try,he won his division. "He walks every day," said his friend and neighbor Janet Hearin, who is amazed at how much Arbour remembers. "He can tell you when every tree in his yard was planted," she said. Arbour still lives in thehome that he and his wife of 60 years shared. The Arbour children all live away, but almost every weekend one or more of his six children and 16 grandchildren comes to visit.He has 12 great-grandchildren with two on the way. He's always onthe go, traveling the world with family members. Dorothy Washington, the Arbours' housekeeper for 27 years, does the cooking and runsthe house. "I promised Miss Ann that I would take care of him," Washington said. "I know him better than anybody. Right now, he’s my best friend." His niece, Kitty Arbour LeBlanc, visits all the time. "I'm the one who comes when he has computer problems," she said. "I come to close out his computer when he has 16 sessions open." Arbour worked fordecadeswith Our Lady of the Lake Regional Medical Center, serving both on the advisory board and the board of directors. He also served on the board and as chairman of Ollie Steele Burden Manor. He stays active with Catholic High School, where he washonored in 2006 as a 75-year alum. If the weather is pretty, he runs with the alumni in school races. He loves to tell the story about his friend and neighbor, the late Ernest Dampf. "Ernest nevercould get above a semi-fast walk," Arbour said. "One day he hollered to me, 'Sidney, you've got your heart in such good shape that when you die, Rabenhorst is going to have to take a shovel and beat on it so you won't come up out of the ground.'" 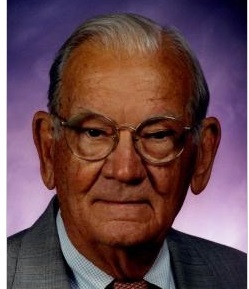 Sidney Vincent Arbour Jr., 97, died peacefully in Baton Rouge on Saturday, 12 Feb 2011. He was born 7 Jan 1914, in Baton Rouge. Mr. Arbour attended Catholic High School in Baton Rouge, and was a graduate of St Stanislaus College in Bay St Louis, MS, and LSU. Except for his military service, he was a lifelong resident of Baton Rouge. Mr. Arbour was a WWII veteran, having served in the US Navy as agunnery officer in both the Atlantic and Pacific theaters. In the Atlantic Theater, his ships transported fuel to the African and European continents, and in the Pacific Theater, he was on ships present at Iwo Jima and the occupation of Japan. After the war, Mr. Arbour worked for 20 years in the research lab at the Standard Oil Co. Baton Rouge refinery, followed by a career as the head of the inspection and appraisal department of Union Federal Savings & Loan Association, until his retirement. Mr. Arbour held both the MAI and SRA designations from the Appraisal Institute. He loved houses, their architecture, and everything about building them. He built several during his life, including his beautiful home on Ramsey Drive where he resided for the past 47 years. He could hardly pass a houseunder construction without stopping in and inspecting it. He possessed a keen memory and many will long remember his stories of Huey Long, old Baton Rouge, and his war experiences. Mr. Arbour was a committed volunteer for his Catholic faith and the Baton Rouge community. He served Our Lady of the Lake Hospital and the Franciscan Missionaries of Our Lady for many years and in many capacities, including service as chairman of the building committee during the planning and construction of the new hospital building on Hennessey Boulevard, chairman of the board of directors of the hospital and theOllie Steele Burden Manor Nursing Home, and a member of each of those boards for many years. In addition, he was the appraiser of record on the sale of the original hospital building to the state of Louisiana. More recently, Mr. Arbour was instrumental in assisting the hospital in assembling a large tract of land necessary for its expansion at its present location. Mr. Arbour was a registered member of both St Aloysius parish and St Joseph Cathedral. He was appointed to the Equestrian Order of the Holy Sepulchre of Jerusalem by Bishop Stanley Ott, held the rank of knight grand cross, and was awarded the Order's Pilgrim's Jerusalem Shell by the Latin Patriarch of Jerusalem. He was a lifelong supporter of St Stanislaus, Catholic High School and St Joseph's Academy and, together with his wife, Ann, was honored by the SJA Foundation of St Joseph's Academy for many years of outstanding community service. Mr. Arbour also served as president of the Lakeshore Lions Club, Commander of the Lt Gen Troy Middleton Chapter of the Military Order of the World Wars, and was a longtime member of the board of directors of Bahlinger Inc. and Kornmeyer Furniture Co. "Gumps," as he was lovingly known to his family, is survived by three sons and daughters-in-law, Peter Wilbert and Alice Ford Arbour, of Houston, Sidney Vincent III and Kathryn Acree Arbour, of Mobile, AL, and James Gerard and Candyce Hiter Arbour, of Magden, Switzerland; three daughters and sons-in-law, Julia Maria and Kevin Patrick McClanahan, and Mary Grace and Albert Raymond Miller, all of Atlanta, and Ann Frances and Peter Michael Olyniec, of Katy, TX; grandchildren and their spouses, Brian Kearney Arbour and Erin Ackerman, of Union City, NJ, Megan Arbour Long and Dr. Wesley Long, of Houston, Blake Patrick Arbour, of BatonRouge, Kevin Patrick McClanahan Jr. and Nicole McClanahan, of Petaluma, CA, Flynn Patrick McClanahan and Meghan Mikulak, Molly McClanahan Welch and Andrew Welch, Thomas Alexander Dechman III and Lorinda Norton Dechman, Alexandra Miller Cornwell, and Caitlin Grace Miller, allof Atlanta, Sophie Olyniec Magness and Dr. Marc Magness, of Houston, Sidney Vincent Arbour IV and Marissa Jennings Arbour, of Atlanta, Joseph O'Neal Arbour and Jonathan Bryant Arbour, both of Mobile, Benjamin Hiter Arbour and Margaret Anderson Arbour, of Fort Worth, and James Andrew Arbour, of Freiburg, Germany; 14 great grandchildren; sisters, Sister Jane Louise Arbour, CSJ, Eloise Arbour Selig and husband Roland, and Virginia Arbour Tomeny, all of Baton Rouge, and a host of nieces and nephews, including Kitty ArbourLeBlanc who contributed so much to Dad's last years. He was preceded in death by his loving wife of nearly 60 years, Ann Bryant Wilbert Arbour; parents, Sidney Vincent Arbour Sr. and Julia May BahlingerArbour; two brothers, JB Arbour and Robert Frederick Arbour; and two sisters, Gertie Lee Arbour McNeely and Katherine Arbour Hannaman. The family wishes to thank his dedicated and loyal housekeepers, Dorothy Washington and Shirley Collins. Visitation will be held at Rabenhorst Funeral Home 825 Government St., on Thursday, 17 Feb, from 5 pm to 7 pm. Visitation at St Joseph Cathedral on Friday from 9 am until Mass of Christian Burial at 10 am. Interment in Roselawn Memorial Park. Memorials may be made to Catholic High School, 855 Hearthstone Drive, Baton Rouge, LA 70806, St Joseph's Academy,3080 Kleinert Ave., Baton Rouge, LA 70806 or Our Lady of the Lake Foundation, 5000 Hennessey Blvd, Baton Rouge, LA 70808.
from Sidney's online Guestbook . . .
Sidney Vincent Arbour, Jr., a prominent resident of Baton Rouge, LA, was born 7 Jan 1914, to Sidney Vincent Arbour, Sr. (1887-1971) and Julia Mary Bahlinger Arbour (1893-1983), the daughter of JuliusAndrew Bahlinger and Mathilda Catherine Kornmeyer. His siblings included Julia May, Gertie Lee, Mary Katherine, Jane Louise, Julius Bahlinger and Robert Fredrick. Sidney Jr. attended Catholic High School in Baton Rouge, and graduated from St Stanislaus College in Bay St Louis, MS. Hewas also a graduate of LSU, where he participated in the ROTC program. In the fall of 1941, he enrolled in the officer-training program of the US Naval Reserve Midshipman's School in Chicago, IL. During WWII, he served as US Navy gunnery officer with both the Atlantic and Pacific fleets. His first assignment in 1942 was aboard the oil tanker, USS Housatonic, to transport fuel oil and aviation gas, and to fuel destroyers of allied campaigns in North Africa, Sicily and southern Italy. He later was assigned to the Pacific Fleet in 1944, aboard the USS Sibley. The ship transported provisions and military personnel in the South Pacific. The Sibley participated in the invasion of Iwo Jima and Okinawa. After thewar ended, he spent seven weeks in Japan. Arbour separated from active duty at the end of 1945. After the war, Sidney worked in the research lab at the Standard Oil Co. Baton Rouge refinery for 20 years, followed by a career as the head of the inspectionand appraisal department of Union Federal Savings & Loan Association until he retired. He was involved in the sale of local real estate and served on the boards of Bahlinger Inc. and the Kornmeyer Furniture Co. He also served as president ofthe Florida Plaza Corp., which expanded and managed Bon Marche Mall, Baton Rouge, LA. As a lifelong resident of Baton Rouge, Sidney was active in the Catholic Church and the Baton Rouge community. He worked closely with Our Lady of the LakeHospital and the Franciscan Missionaries of Our Lady, servingon the board of directors for the hospital and the Ollie Steele Burden Manor Nursing Home. He also served on the hospital's planning and construction committee. He was instrumentalinthe acquisitionof a large tract of land needed for the construction of a new facility on Hennessey Blvd. In addition, he was the appraiser of record for the sale of the old hospital building to the State of Louisiana. Sidney was a registeredmember of both St Aloysius Parish and St Joseph Cathedral. He was appointed to the Equestrian Order of the Holy Sepulchre of Jerusalem by Bishop Stanley Ott, held the rank of Knight Grand Cross, and was awarded the Order's Pilgrim's Jerusalem Shell by the Latin Patriarch of Jerusalem. He was a lifelong supporter of St Stanislaus Catholic High School and St Joseph's Academy and, together with his wife, Ann, was honored by the St Joseph's Academy Foundation for outstanding community service. He also served as president of the Lakeshore Lions Club and commander of the General Troy Middleton chapter of the Military Order of the World Wars. Sidney died at the age of 97 on 12 Feb 2011. Sidney married Ann Bryant Wilbert, daughter of Peter M. Wilbert and Mary Lilla Grace of Plaquemine, LA, on 1 Feb 1947. They had six children together. Ann attended College of the Sacred Heart, Grand Coteau, and was a graduate of LSU. She was active in the Catholic Church andtheBaton Rouge community throughout her life. She participated in a number of organizations and served on several boards and committees. She served as president of the Junior League of Baton Rouge, CatholicDiocesan Council of Home and School Associations, and she was a founding member of the Baton Rouge Eye Bank Auxiliary. She is credited with coming up with the title River Road Recipes for the Junior League's best-selling cookbook. Moreover, she served on the board of directors ofGood Fellows-Good Samaritans, Baton Rouge Arts and Science Center, SJA Foundation of St Joseph's Academy, and she was a founding member of the Baton Rouge Speech and Hearing Foundation. During WWII, the US Department of Defense presentedher with the Civilian Defense Medal. She was a founding member of the Baton Rouge Diocesan Latin-American Commission under Bishop Robert E. Tracy. She was a founder of the first Camp Fire Day Camp in the Baton Rouge area and was the recipient of a National Camp Fire Award for hervolunteer work in that organization. She was also a life member of Our Lady of the Lake Regional Medical Center Auxiliary. Ann died in Baton Rouge on 7 Jan 2007 at the age of 86.